Notes: Memorial windows formerly in St. Andrew's Church, Henderson Road, Eastney, Southsea, Hampshire. 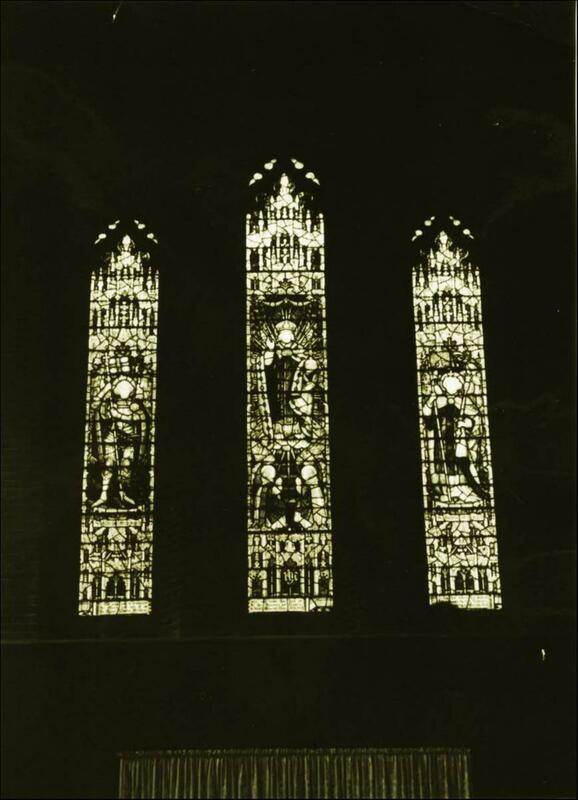 The centre window depicts God: flanking windows are of the Archangel Gabriel and Michael. Unveiled 11 June, 1911, by Colonel Commandant J. H. Bor, CMG. Inscription: 'We pray you to remember the Officers and Men of the Royal Marine Artillery who laid down their lives for their country in South Africa and China, 1899-1902 and to the Glory of Almighty God'.